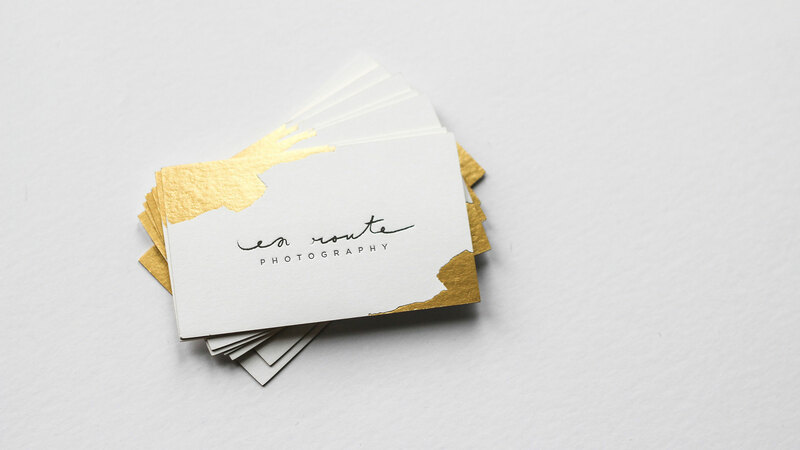 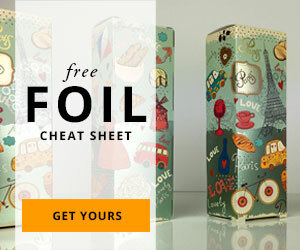 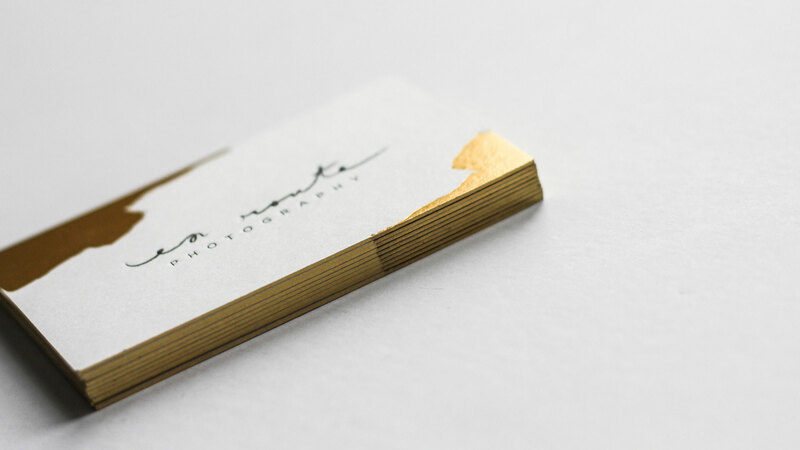 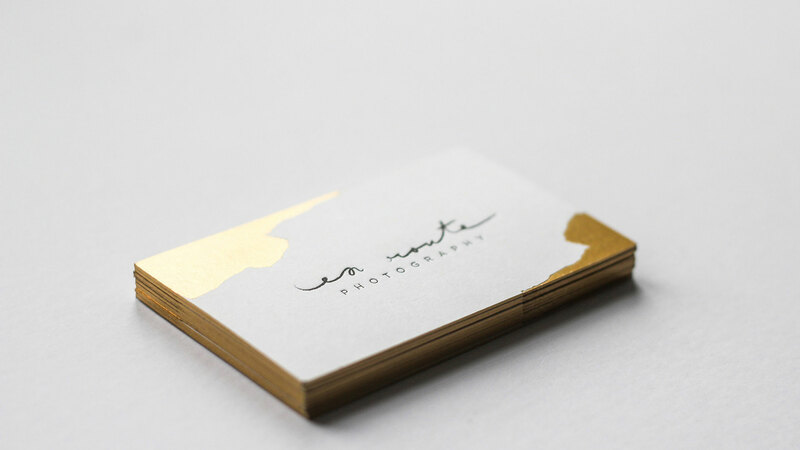 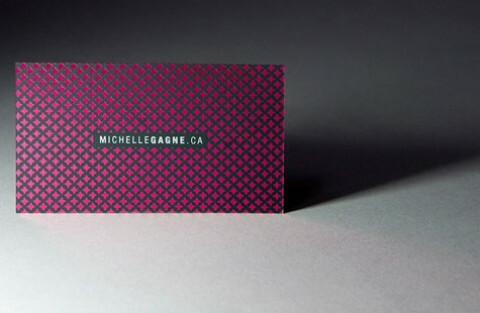 I especially love how the gold foiling complements the design itself with the gold edges. 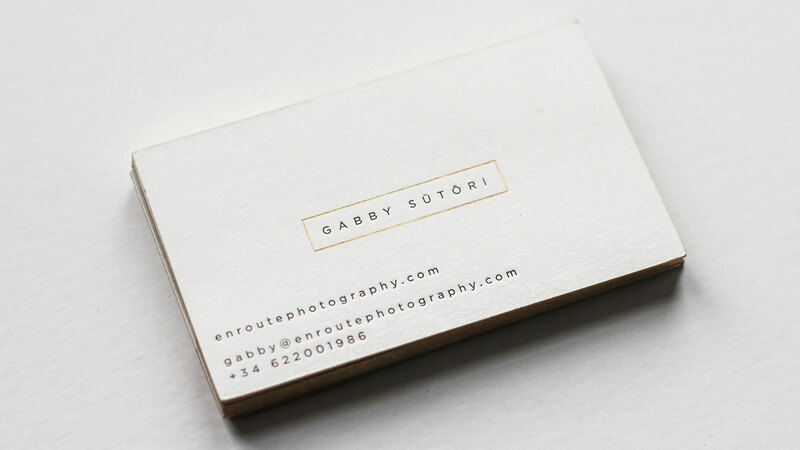 When it came to redesigning the branding for En Route Photography, Belinda Love Lee took her cues from En Route owner Gabby’s photography: modern, ethereal, with a touch of class to it. 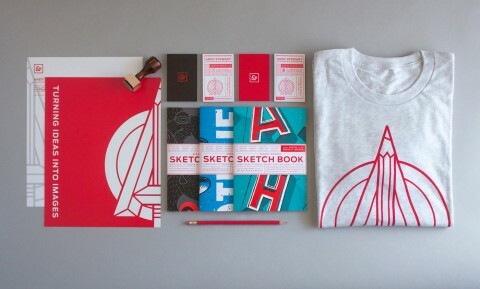 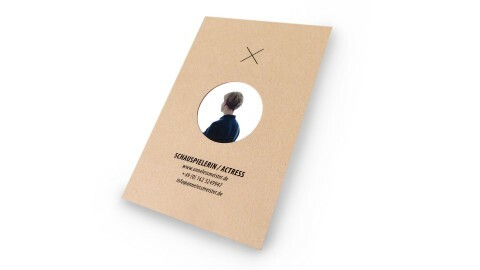 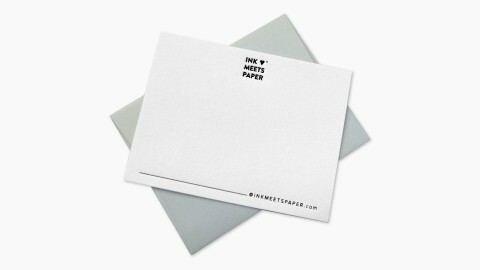 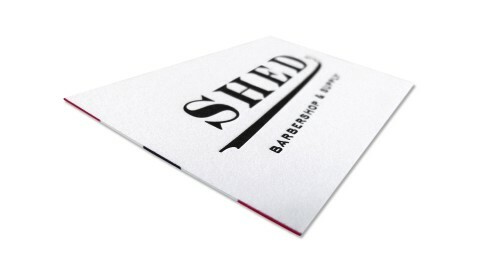 The card is letterpress printed with a nice deep impression on two sheets of 310 gsm cotton paper, which were then duplex laminated, giving the card a substantial feel and cleverly hiding the letterpress bruises on the back of each sheet. 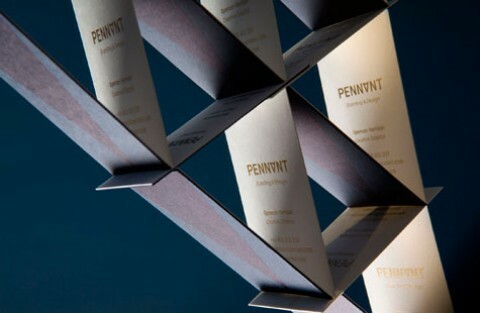 Belinda says the biggest lesson she learned while working on the project is that simplicity always triumphs.